Epistemology is the "theory or science that investigates the origin, nature, methods, and limits of knowledge (Webster's New Twentieth Century Dictionary . . . 1980); again, it is "a branch of philosophy that is concerned not so much with what we know, but how we know it" (Bill Cook, Dictionary of Atheism, Skepticism, & Humanism, 2006). My work as an essentially field epistemologist has been devoted to such areas as literary investigation and claims of the paranormal. An example of the latter is my treatise on ghost investigations, "Phantoms, Frauds, or Fantasies?" 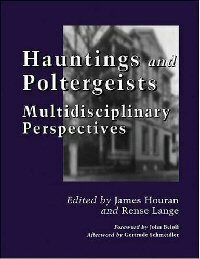 (in Houran and Lange, Hauntings and Poltergeists: Multidisciplinary Perspectives, 2001). Therein I describe how supposed knowledge of spirits is often pseudoscientifically derived and provide a generalized scientific methodology for the validation and testing of haunting claims.